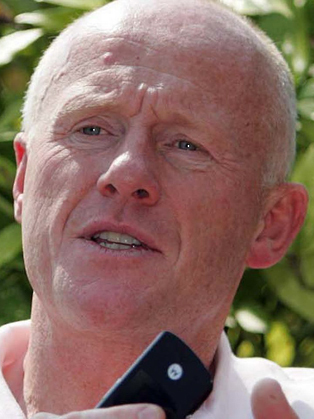 John Caudwell was born in October 1952. He has a partner, Claire, and five children. Originally from the Midlands, his family moved to and settled in Stoke-on-Trent – an area which has always battled with economic and social challenges. John was aware of his entrepreneurial and creative streak even as a child, engaging in schemes as varied as growing worms in a box under his mother’s bed which he would then sell to anglers, collecting gift coupons from cigarette packets and selling the goods he bought with them, selling motorcycle clothing – a business so successful that the manufacturer eventually blocked his supply after complaints from competitors. In parallel, John took an engineering apprenticeship at the Michelin Tyre factory in Stoke-on-Trent. But it was in the mid-1980s, when operating a successful car dealership in Stoke, that he turned a business problem into a business opportunity. Ever pro-active, John would go looking for cars for customers if they came in and asked for something he didn’t have in stock. One of the sources of these cars was auctions – John would see a car about to come through, and then phone a prospective customer to see if they were interested. But there was a challenge: one payphone, but lots of car dealers, resulted in many missed sales. He’d heard about mobile phones, but knew little about them. He researched, and approached one manufacturer to buy one. The price was £1,600. He asked if they would do a deal on two – and they said £1,350. He said that he’d take two, they said only if he became a dealer, he asked what that entailed, they said he had to buy a carton of 26. It took him nine months to sell them. By the time he sold Caudwell Group in 2006, the business was selling 26 phones a minute. It employed 10,000 people in the UK and abroad – though primarily in the UK, and with a headquarters in Stoke-on-Trent. It was turning over £2.25 billion. He sold the business for £1.5 billion in 2006. Since 2006, while he has remained involved in business – marine, aviation, property, and wealth management – his prime focus has been charitable and philanthropic work.